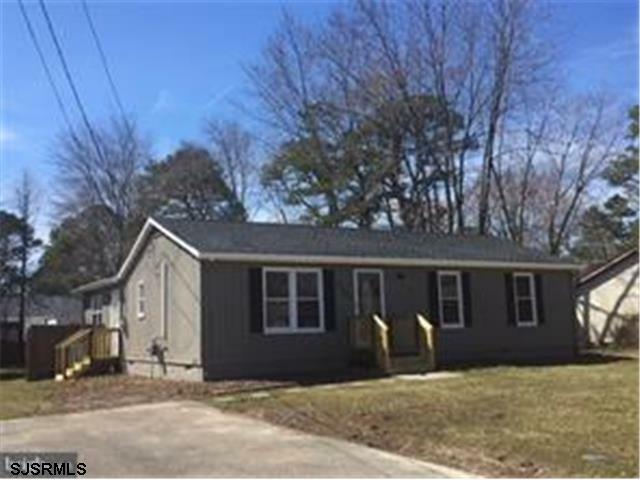 This charming ranch style home is newly renovated and ready to move in! Featuring 3 cozy bedrooms, a bright, sunny living room with beautiful new wood floors, upgraded eat-in kitchen and new bathrooms, this one is sure to go quickly! Offering endless possibilities, the very large bonus room boasts super high ceilings, ceiling fan and dual entrances including a sliding glass door that leads to a wrap around deck and fenced yard that's sure to make those summer bbqs a hit!